We pride ourselves on our customer service, and we continually try to make customer satisfaction our number one goal. As a result, the majority of our new and incoming business comes directly from repeat customers, client referrals, contractor recommendations, and industry endorsements. We are truly honored that our service has been so well received, and consider ourselves privileged to have such an outstanding client base. Listed below are some of our valued clients, industry partners, and community donors who have had something positive to say about our service over the years. On behalf of the faculty, staff and students of the Community & Technical College of the University of Alaska Anchorage, thank you for your recent gift. Your generous contribution has been allocated to the Excellence in Construction Management Fund and will help support and build our college’s career and technical education programs and services. Continue reading.. Thank you for NGE-TFT’s generous in kind donation of the geotechnical explorations and report valued at $7,178.00 to the Alaska Botanical Garden on 10/23/2014. Your support is greatly appreciated! Generous donations such as this make it possible for ABG to continue to grow and serve the community through its mission of education, preservation, recreation and research. Continue reading.. I have retained Terra Firma through Ron Caron and Tamara Selmer for field and laboratory soils testing on numerous projects since their firm was founded in 1998. They have consistently provided excellent service in a timely manner with no quality control problems. I have worked with Ron and Tamara on Alaska projects since the early 1980’s, and have full confidence in their capabilities and knowledge regarding laboratory testing and construction control work. Continue reading..
Terra Firma is well-established Alaskan organization that provides timely professional materials testing to the Construction Family, including agencies, engineers and contractors. In many ways they remind me of our early days developing Alaska Testlab, 1957 to 1973, for similar purposes. They show great energy and attention to fundamentals. Continue reading..
Lounsbury and Associates has worked with Terra Firma Inc. (TFI) two different times in the past. I know them to be thorough and professional. In the first instance they were the testing lab for an underground utilities project. They were always able to respond on relatively short notice as the contractor completed portions of the work. This proved particularly important in the testing trench backfill. Continue reading..
We have utilized Terra Firma Inc. for both materials testing and Contractor Quality Control services. We have never received any but the best service from Terra Firma. Ron Caron and Tamara Selmer make themselves available whenever necessary and truly understand a contractors needs in the construction industry. Continue reading..
Over the past few years, we have used Ron Caron and Tamara Selmer of Terra Firma, Inc. for material testing on our jobs, primarily last year on the Finger Lake Boat Ramp and Susitna Landing Boat Ramp. They have also been doing our testing and soil reports at Denali Elementary School and the Chugiak High School. Our experience with Terra Firma has been excellent. Continue reading..
At the request of Terra Firma, Inc. I am writing this letter of recommendation for Ron and Tamara. It is my understanding they are trying to qualify as a soils testing agency for some future projects. I cannot think of a better firm. I have known both Ron and Tamara since their days of working for EBA Engineering. When I first met Ron while at EBA, I quickly became impressed with his knowledge in the field and his skills at documentation. The first year they began Terra Firma, a problem on a GMC project came up. Continue reading..
During the past four years, I have had the opportunity to work with Terra Firma on many of my projects, to mention a few, Kincaid Estates North, Brookside Knoll Subdivision and Spruce Meadows Subdivision. The professionalism that both Ron Caron and Tamara Selmer have displayed has been above reproach. They have avery experienced staff who are not only knowledgeable with soils, soils testing and equipment, they are dependable and friendly and a pleasure to have on the project site. Continue reading.. It has been a pleasure having you as a part of our Land Development Team. Your professionalism and knowledge of soils has made Terra Firma a name we count on. As we close out 2002, we continue planning for 2003 we look forward to your continued participation with our future development. Continue reading..
Terra Firma has provided geotechnical testing for Duane Miller & Associates since 1998 when Ron Caron and Tamara Selmer established their business. Before that, Ron had been the lead person for testing services for many of my projects back to 1990. The Terra Firma laboratory has provided soils testing for us on a timely and efficient basis with a high level of quality. They have readily adapted our requirements for digital reporting of test data. Continue reading..
Terra Firma Inc. (TFI) and specifically Ron Caron and Tamara Selmer have worked with the Department of Natural Resources, Design and Construction Section on several projects as testing and quality control consultants over the past three to four years. 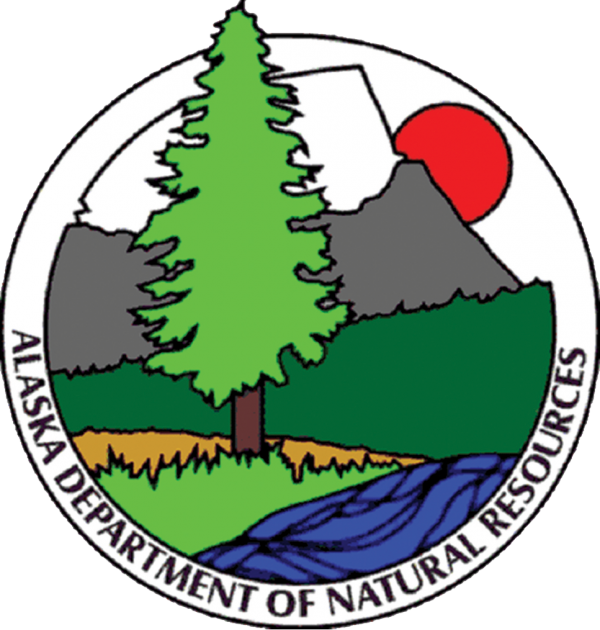 Work performed by Terra Firma Inc. included material testing for Bird Point to Girdwood Pathway, Bird Point Scenic Overlook, Bird Creek Pedestrian Facilities, Hatcher Pass Scenic Overlook and Trailheads, and the Anchorage Trail Rehabilitation projects. These projects total approximately $7 million dollars in construction. Continue reading..